Welcome to the dental office of Dr. Brent Pennington. 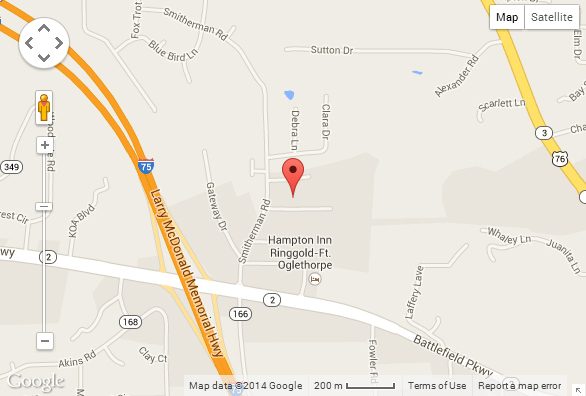 Our office is conveniently located off I-75 at exit 350 Ringgold, Georgia. We provide comprehensive dental care for the entire family. We emphasize the need for prevention, restoration and long-term maintenance for your smile. It is our goal to provide you and your family with the highest quality of dental health care. In our office, we strive to make dental treatment available to you in an atmosphere that is as comfortable as possible. Even in an age of scientific advancements, people still need regular dental care. Whether it is a routine cleaning and exam, repair of damaged restorations, or even a painful emergency, our office is ready to serve your needs. Our client centered approach ensures that the patient is the most important person in the practice. Our mission is to provide quality dental care using state of the art techniques in a modern facility, with a sincere and caring attitude from each one of our team members. You can feel confident in our care and be assured that, when you leave our office, you have received a thoughtful and honest dental opinion. Our entire staff operates as a team. Each member of our team has a goal of providing you with a warm and relaxing atmosphere for quality dental care. If you have any questions, our staff is very well trained and eager to share with you their skills and knowledge.